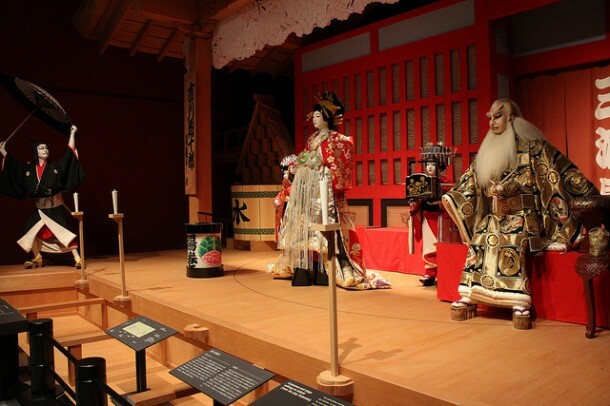 Though Kabuki Theaters are vital parts of Japanese art and culture, they are not as acknowledged as the other symbols of the country, such as sushi, geisha or sake. Kabuki theater is a typically Japanese art form. It presents performances which are well-combined with dance and excellent costumes and make-ups. This avantgarde art provides a show where only male actors are performing. Kabuki, or the amazing Japanese dance-drama show was born at the beginning of the 17th century and it is still popular nowadays. 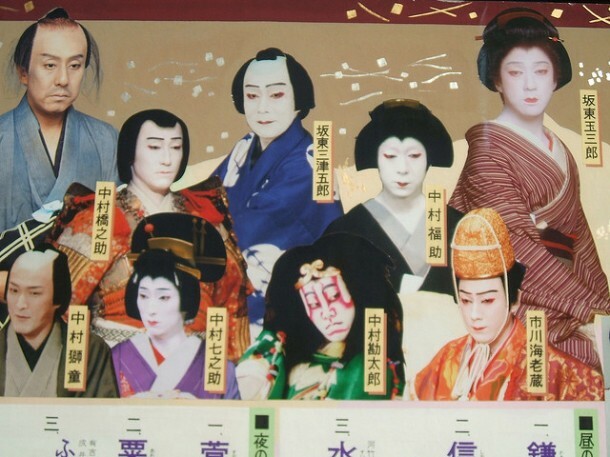 As every large Japanese city, Tokyo has some Kabuki theaters as well. 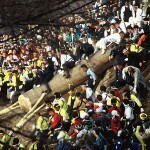 The most famous ones are located in Ginza district, but some are located outside this area. 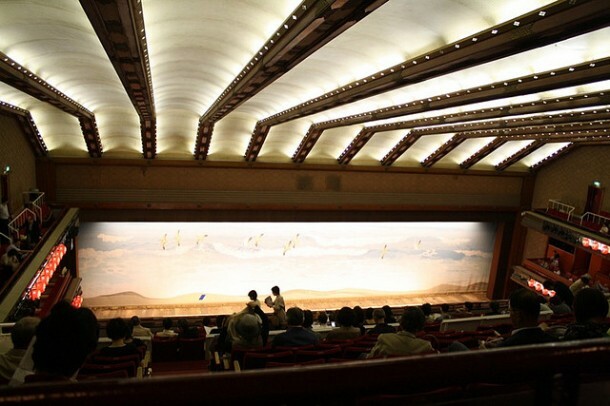 This article presents briefly the best Kabuki theaters in Tokyo. Shinbashi Enbujo is also called Shinbashi Playhouse and Shinbashi Theater. This Kabuki theater is very popular, especially for tourists from abroad. Soon after entering the theater, the visitors receive earphones and they are guided and given information about the play throughout the whole performance. Besides Kabuki, straight plays and Super Kabuki are performed as well. Originally, it was built in 1925 in order to provide a place for geisha dances and performances, but as the years had passed, Kabuki performers had replaced the geisha. The rival of Shinbashi Enbujo is Kabukiza, also in Tokyo, Ginza. Wheter one is better than the other one is still a question under debate. 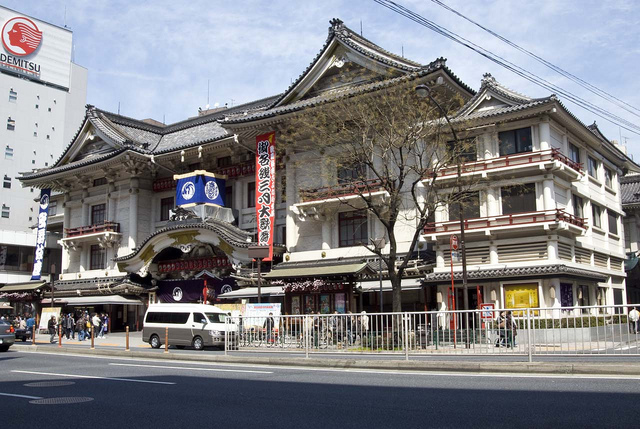 Shinbashi Enbujo, one of the capital’s best Kabuki theaters is located in the Higashi Ginza area. The accurate address is Ginza 6-18-2, Chuo-ku, Tokyo. Their phone number is 03-3541-2600. If you get hungry, don’t worry because lunch boxes can be purchased in the theater. Kabukiza is a very friendly theater, with a cozy atmosphere, excellent restaurants and last, but not least, outstanding Kabuki performances. The theater provides performances almost everyday, and their repertoire is changed monthly. By presenting their new plays, the theater attracts even more visitors. This theater was first opened in 1899, and by that time, it’s one of the best Kabuki Theaters of Tokyo (although it was rebuilt in 1922). 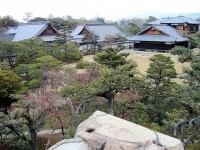 It has been rebuilt recently as well, and Kabukiza was closed for three years. Finally, it was opened on March 21, 2013 and since then it attracts hundreds of visitors. 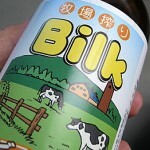 It is located in Ginza district, like Shinbashi Enbujo. The address is Ginza 4-12-15, Chuo-ku, Tokyo. The phone number is 03-3545-6800. English earphone guide and restaurants are available in Kabukiza as well.